Imagine an episode of the Jerry Springer Show in which the paternity of a child will be determined. Now imagine that instead of human beings, the show is focused on plants, and the issue at hand is the paternity of seeds produced by a given flower. Next, consider that instead of just two candidate dads, there are dozens or even hundreds of individuals that could have fathered those seeds. What would you expect to find out at the end of the episode? New research by biologists at Chicago Botanic Garden and the University of Arizona brings such a scenario into reality, and the “big reveal,” while not quite as dramatic as what you’d typically see on the Springer show, offers new insights into plant mating. 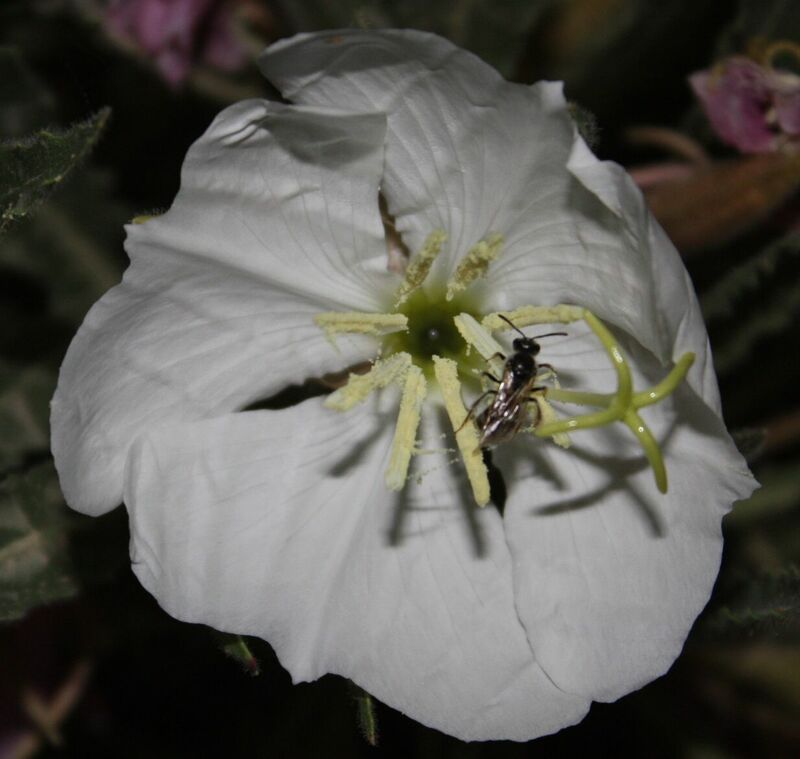 The paper, titled “Pollinator identity and spatial isolation influence multiple paternity in an annual plant,” was published online today in Molecular Ecology. 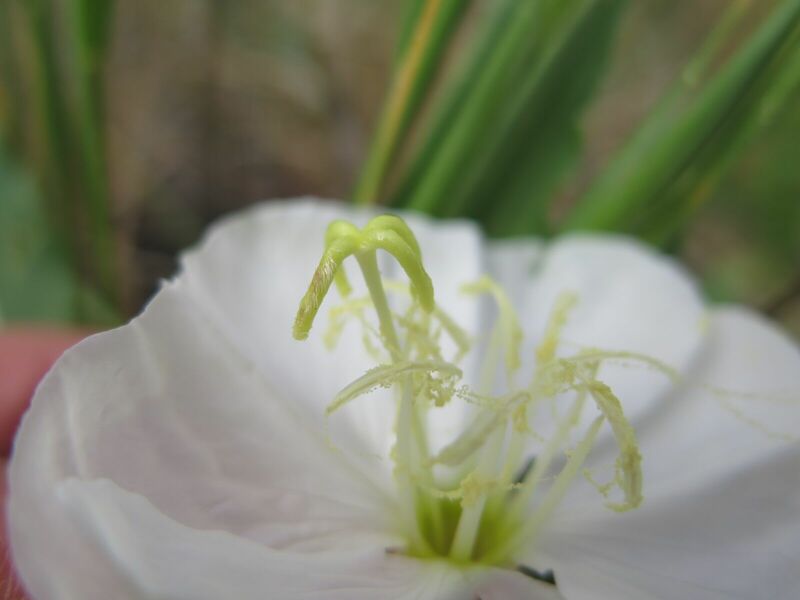 In the video above, pollen is deposited on the proboscis and body as hawkmoths (Hyles lineata and Manduca quiquimaculata) visit flowers of Oenothera harringtonii. (Video: K. Skogen) View video on YouTube here. Hyles lineata visits an Oenothera harringtonii flower; note the pollen on the moth’s head and body. 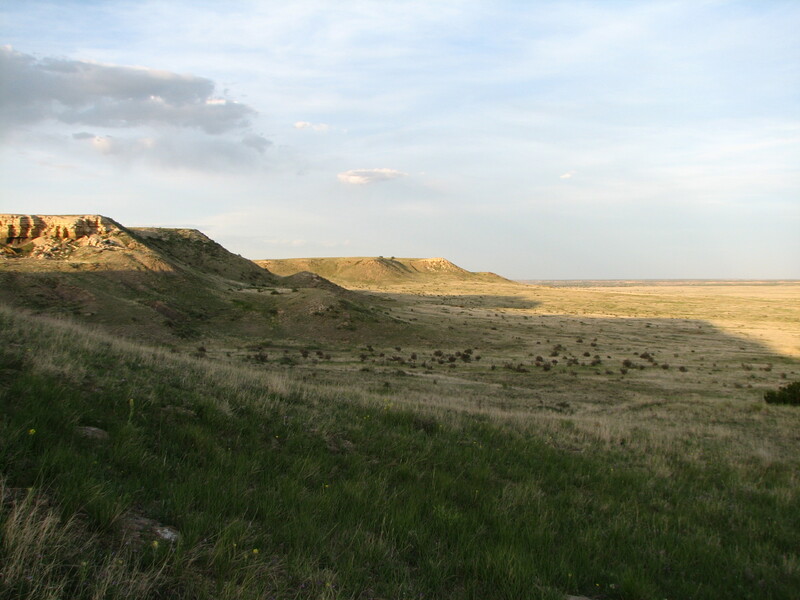 In addition to providing a more thorough account of factors that can influence multiple paternity in plants, the results also allow researchers to consider how plants might be affected by the loss of certain pollinators. 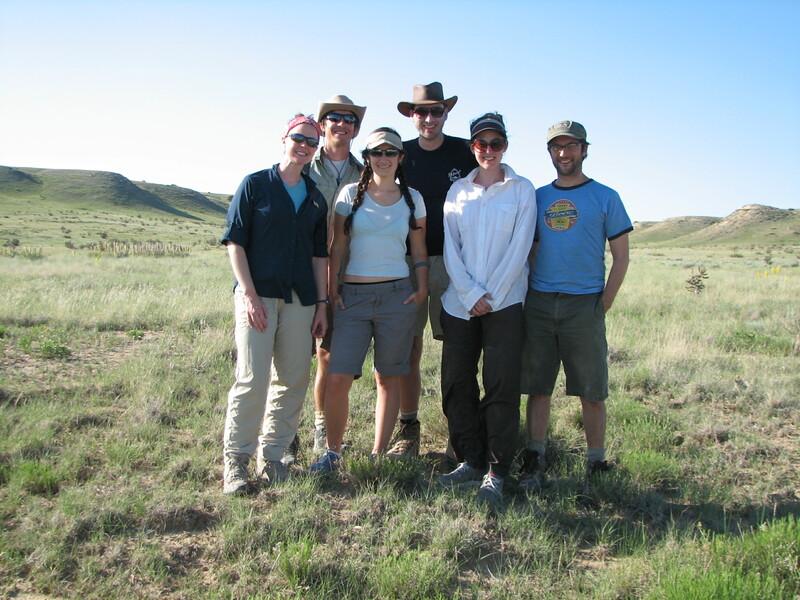 “This study allows us to make predictions about how some plants may be affected if particular pollinators disappear. 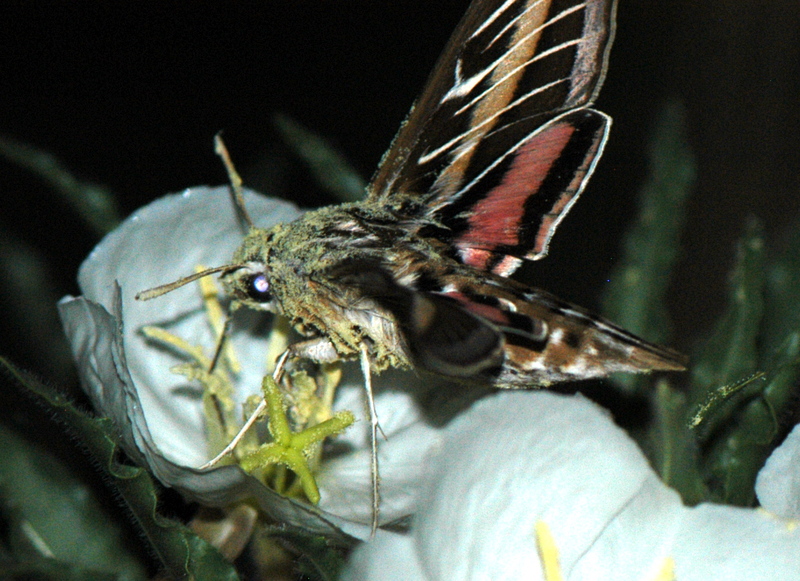 Hawkmoths play an important role in moving pollen from plant to plant; if they decline in large numbers or are lost completely, there may be cascading effects on the success of future generations of hawkmoth-pollinated plants” said Skogen. Previous Previous post: Daffodils Are Here!